Three Floors Of Awesomeness And A Giant Transformer Welcome You At The MOB Brewpub! 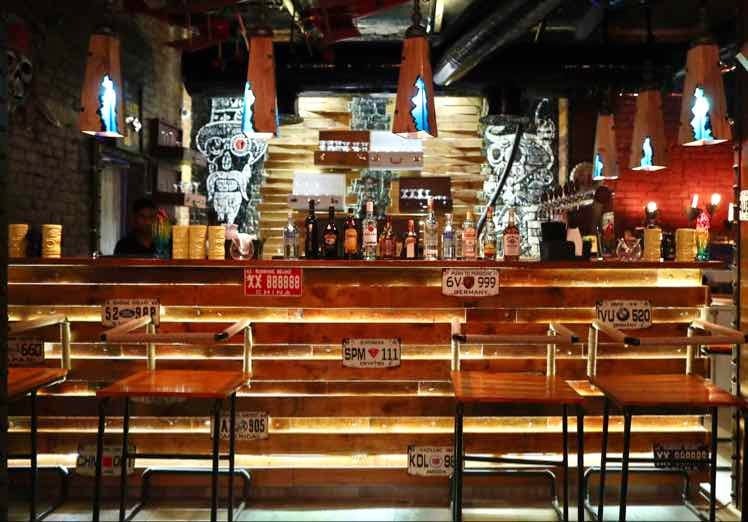 Expansive, cheery and spread over three floors, Ministry of Beer dazzles you with its very punk vibe, attentive service, and a menu that is bigger than a book! With outdoor seating that comes with cooling misty fans, and even a gigantic Bumble Bee for a cool photo-op, this could possibly be the next place for the gang to chill, or even a fun evening with the fam. We tried a lot of small platters, and loved some more than the others. The Mascarpone Dahi Kebabs are tender, creamy and have the gentle aroma of cardamom. This pairs well with the Chettinad Paneer Tikka- which is hot, fiery and served with a delicious mint chutney. Meat eaters can rejoice in Mutton Seekh Kebabs served with Peri-Peri or falling off the bone succulent lamb chops. Cleanse your palate between bites with nitrogen blasted crunchy Makhana popcorn. There is a range of cocktails and fruity mocktails to choose from, and if you are still hungry after your nibbles, we recommend a meal combo to seal the deal. While we quite enjoy the current drinks on offer, we would love to pair our munchies with some refreshing and freshly brewed beer, which isn't available currently sadly. Waiting for this to arrive soon! MOB is designed to be different things for different people- you could choose the outdoor seating if you want to enjoy a spot with sheesha, the top floor if it's a large party you're throwing, or some almost hidden and intimate seating on the mezzanine- which seems perfect for a slightly secretly rendezvous. Sheesha lovers paradise -a lot of options on offer and a very informed server who will help navigate variants for newbies.